Is renting a car via contract hire economical! 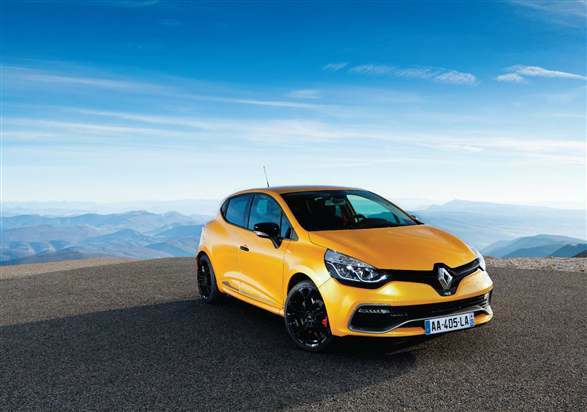 The Renault Clio’s sportier brother, the ‘Renaultsport’ has a new incarnation… the Renaultsport Clio 200 Turbo! Full UK specification details have been revealed for the new Renaultsport Clio 200 Turbo and it has us buzzing at the AEF HQ. It has followed the direction of many a new car, and has essentially downsized, and added a turbocharger. It will feature a 1.6-litre turbocharged petrol engine petrol engine and an EDC six-speed dual-clutch gearbox. Thanks to the Turbocharged engine, the new Renaultsport Clio can generate a strong 197bhp and it produces 18lb-ft more torque than its predecessor. This means that 0-62mph will take 6.7 seconds, and a top speed of 143mph can be achieved. The new Renaultsport Clio will do 44.8mpg and emissions have fell, giving the car better green credentials. The Renaultsport Clio hasn’t got the best history in terms of quality and reliability, though it hasn’t been terrible either, mechanical reliability should be good and regular servicing should keep it to a high standard.